Another belated holiday post, another great pattern from Birdiful Stitches. 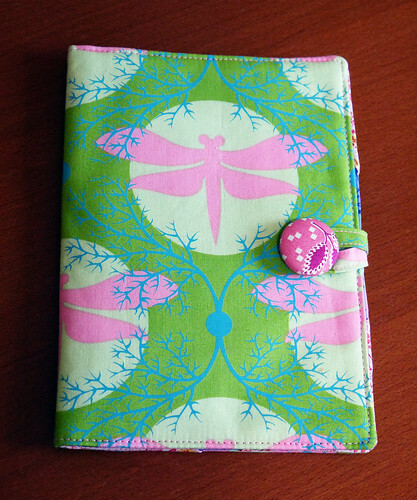 I made this case for the Kindle Touch that we gave my mother-in-law for Christmas. She loves dragonflies, so I snapped up this fabric when I found it a few months ago. 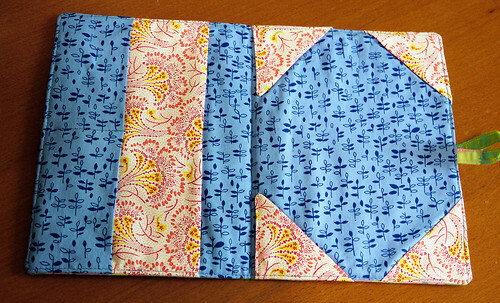 Two cheerful cotton prints from my stash and a covered button rounded out the case. The neat thing about this pattern is that it has separate sizes for a bunch of different e-readers. I’ll definitely be whipping up more of these as gifts for the bookworms in my life.